Crowd sourcing data can produce wonderfully useful results. 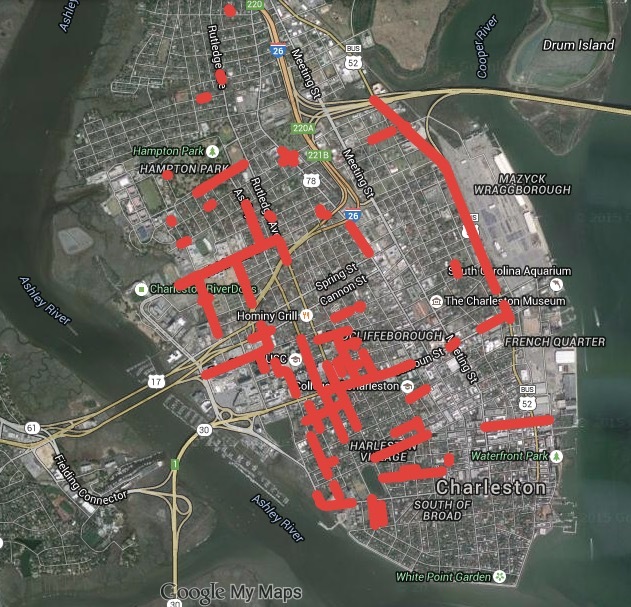 In this case, a crowd-sourced map of flood-prone streets in notoriously flood-prone Charleston. We’re entering the rainy season in August, so use scrupulously.